We are seeking volunteers for various roles to support our ESOL programs. Volunteers facilitate conversation and/or activities for English learners, helping them improve their communication skills, vocabulary, and pronunciation. Through meaningful activities on relevant topics, volunteers partner with learners to build confidence in conversational English and support their adjustment to life in New York. For many learners, our programs are a first step toward achieving their English goals, and can build a bridge to further education, job training, or citizenship opportunities. Volunteer training and ongoing support are provided. 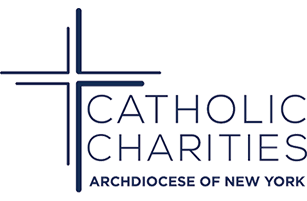 The International Center of Catholic Charities Community Services teaches English language and American culture to newly arrived immigrants, refugees, asylees, undocumented, and other new Americans to help ease their transition from newcomer to New Yorker. Our programs and services help learners improve their English and build their confidence so they can become self-sufficient and productive in the United States. In addition, we partner with community-based organizations in the Bronx, Manhattan, and Queens to reach even more New Yorkers in need of our programming.